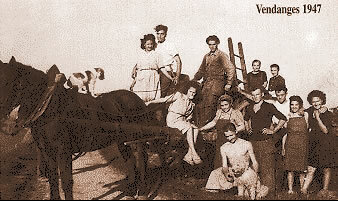 After their wedding, Gabriel and Renée settled in Dampierre and ever since, their descendants would not ever have considered moving away from the vines and the tuffeau caves. 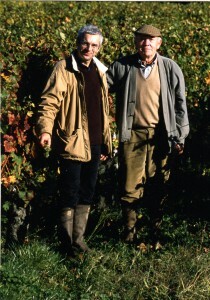 In 1987, my brother Pascal, my father Georges and I decided to go into partnership. At that time I was running a big apple and pear tree orchard but I was tempted by vinification and Pascal was an excellent salesman. Helped with Georges’ advice the project had to be a winner. The first vinification was going perfectly a tragedy occurred at the beginning of 1988. We lost Pascal in a terrible road accident. All our plans collapsed around us. We, nevertheless, tried to carry on. The culmination of a gradual evolution, we turned to total organic farming in 2009. Not a drop of herbicide, giving up all synthetic sprays, ploughing: we had to rediscover all our ancestors’ know-how! But what a reward it is to taste these new wines, resplendent in their pureness and elegance. 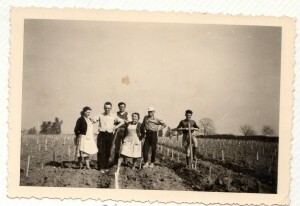 A great figure of French winegrowing, former founder of the “Association des producteurs de Saumur-Champigny”, my father Georges departed at the end of 2013, 88 years old. He was my unqualified support, my irreplaceable counsellor, he was my father and my best friend…a most important page had been turned. Today, Agathe, my elder daughter is joining the estate. Wonderfull! 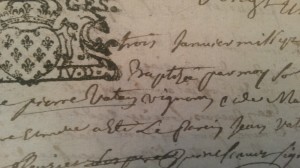 Once again we shall be 2 Vatans for the 2014 harvest… 300 years after Pierre!